The summer season is a time for ice cream, trips to the beach, and . . . state and county fairs! The food selection at state and county fairs is now more diverse and delicious than ever before, ranging from timeless classics like apple pie and corn dogs to new inventions like spicy peanut butter and jelly cheeseburgers and fried Coca-Cola®! 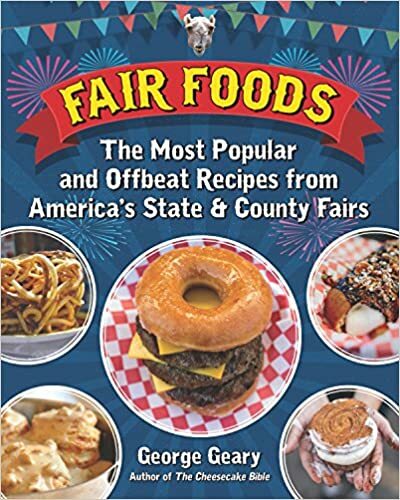 Award-winning chef, best-selling author, and renowned educator George Geary celebrates the weird and wonderful foods sold at state and county fairs with his new book, Fair Foods: The Most Popular and Offbeat Recipes from America’s State and County Fairs (Santa Monica Press/August 2017). This illustrated cookbook features 120 recipes of some of the most interesting and unusual foods served at fairs across the USA. Each page of Fair Foods is illustrated with photographs of America’s most beloved fair foods, as well as vintage and contemporary images of rides, attractions, and nostalgic ephemera from the fair. Fair Foods captures the joy and spirit of America’s greatest county fairs. You don’t have to wait for fair season to make these wacky and wonderful foods—now you can enjoy them all year long! George Geary is an award-winning chef, best-selling author, and renowned educator. A former pastry chef for the Walt Disney Company, George is a Certified Culinary Professional, and was recently chosen as the Culinary Educator of the Year by the International Association of Culinary Professionals. He is perhaps best known for creating all the cheesecakes for The Golden Girls and other top-rated television programs. George has worked as a critic and/or judge for ABC’s The Taste with Anthony Bourdain, The American Baking Competition with Jeff Foxworthy, Hell's Kitchen, Supermarket Superstar, and many other popular television shows. He also teaches cooking classes aboard Holland America Lines. 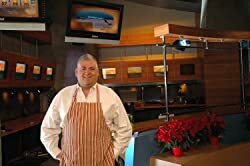 For over thirty years, Geary has been a culinary contest judge for such major food manufacturers as Canola Producers, Veg-All, Hormel Foods, the Hershey Company, Knott’s Berry Farm Foods, Ghirardelli Chocolate, Fleischmann’s Yeast, the San Diego Union Tribune, ABC News, and many more. From 1982 to 2010, George was the culinary coordinator of the Los Angeles County Fair. George is the author of L.A.’s Legendary Restaurants, as well as nine cookbooks including The Cheesecake Bible, The Complete Baking Cookbook, and 125 Best Cheesecake Recipes. 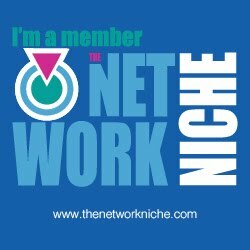 He is a frequent guest on national and local television and lives in Los Angeles. Cassandra's Review- I LOVE this book, it is filled with the best recipes for fair goodness and treats all over the USA. You know they are not going to be super healthy, but most fair food is not. I was super excited to try out most of the recipes and they are super easy to understand. If you have grown up around fair foods and then miss them terribly as an adult, this book is both nostalgic and yum in one! I would love to get my hands on every book by this author! The hot, crunchy pucker of these fried pickles is like no other flavor you can imagine. Pair with ketchup or mustard. Drain dill slices on paper towels. Refrigerate until ready to use. In a medium bowl, whisk together flour, seasoned salt, garlic powder, and black pepper. Add hot sauce and water to make a runny paste. In a stockpot, heat 1 ½ inches of canola oil over medium heat to 375°F. Dip pickle rounds into the batter to coat all sides. If the batter is runny and doesn’t stick to the pickle, add additional flour. If it is too thick, add hot water. Using a slotted spoon, lower the battered pickles into the hot oil and fry until golden brown, about 30 seconds, turning over halfway through. One of the most unusual combinations to emerge from county fairs. Gently shape ground beef into four 1/3-pound round patties. Don’t handle the beef too much. Press a dimple into the center of each patty. Season well with kosher salt and pepper.